D-Link expanded its line of Home Automation solutions in a big way today by introducing the Connected Home Hub and a range of Sensors and Sirens designed to keep DIY homeowners more in tune with what’s happening, whether home or away. The Connected Home Hub (DCH-G020) plugs into an existing home network router to act as a centralized control for D-Link® Connected Home devices by integrating Wi-Fi and Z-Wave wireless technologies and using the mydlink® Home app for iOS® and Android® devices. The D-Link Connected Home Hub (DCH-G020) is AllSeen compatible and will support AllSeen compatible devices, such as AllSeen Wi-Fi lighting solutions. 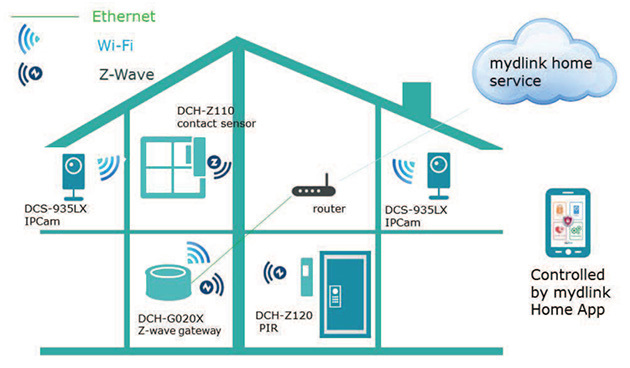 In addition to the Connected Home Hub, D-Link unveiled a number of solutions built to easily talk with and trigger one another, including the Z-Wave Open & Close Sensor (DCH-Z110), Z-WaveMotion Sensor (DCH-Z120), Wi-Fi Water Sensor (DCH-S160) and Wi-Fi Siren (DCH-S220). mydlink Z-Wave Open & Close Sensor (DCH-Z110)1: The DCH-Z110 detects when doors or windows are opened, alerting users with push notifications sent directly to their mobile device. The DCH-Z110 is battery operated for flexible placement and easy installation with battery life of up to three and a half years. The sensor is also designed with a temperature monitor and light sensor to provide additional notifications and integration with other D-Link Connected Home devices for expanded rule creation, such as lighting control when a door is opened, using the mydlink Home app. mydlink Z-Wave Motion Sensor (DCH-Z120)1: The DCH-Z120 is designed to send a push notification to a mobile device whenever motion is detected. The DCH-Z120 is battery operated for flexible placement and easy installation with a battery life of up to two years. The sensor is also designed with a temperature monitor and light sensor to provide additional notifications and integration with other D-Link Connected Home devices for expanded rule creation, such as controlling lighting or turning on a fan/heater based on room temperature, using the mydlink Home app. 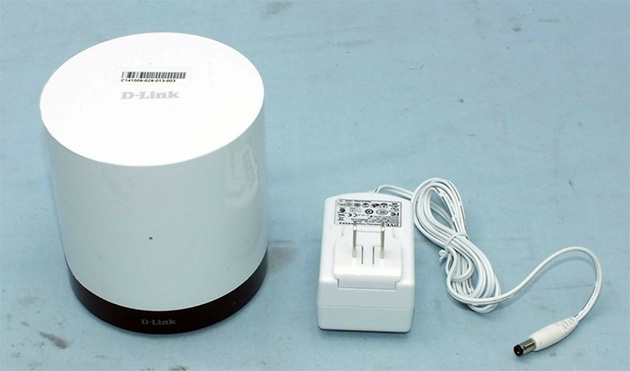 mydlink Wi-Fi Water Sensor (DCH-S160): Designed to connect to an electrical outlet and directly to an existing home Wi-Fi network or the mydlink Connected Home Hub (optional), the DCH-S160 is designed to detect water and send a push notification to a mobile device to alert users of a water leak. The DCH-S160 is ideal for placement around water heaters, washing machines, dishwashers, and sump pumps to provide early warning of water leaks and potentially costly water damage. 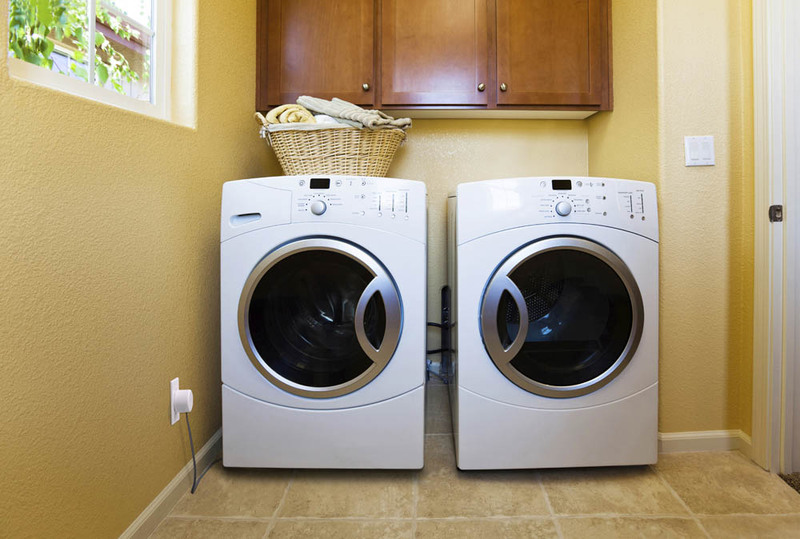 The sensor detects water along the entire length of cable for greater coverage and is extendable to wrap around pipes. The mydlink Home app enables users to manage and create actions for complementary D-Link devices, such as a siren, or to turn off the device using a Wi-Fi Smart Plug. mydlink Wi-Fi Siren (DCH-S220): Designed to help scare away potential intruders and help users keep a pulse on what’s going on at home, the DCH-S220 sounds an alarm and delivers push notifications to users’ mobile devices. The siren is easy to install with Wi-Fi and WPS push button setup and can play up to six different sounds based on the device and action created to trigger the alarm. Using the mydlink Home app, users can manage the siren, adjust volume and create rules to interact with other mydlink Connected Home devices such as the Water Sensor, Motion Sensor or Open & Close sensor. D-Link Connected Home products work together to get your home talking. All of the newly announced devices and existing D-Link Connected Home devices, like the Wi-Fi Motion Sensor and Wi-Fi Smart Plugs, work with the unified mydlink Home app for a seamless connected home experience. With the mydlink Home app, users have a single app to create customized groups, manage the connected home devices and create actions, making their home more secure and more convenient. The mydlink Connected Home Hub and suite of connected devices will be displayed at the 2015 International CES, Jan. 6-8, 2015 in Las Vegas. Detailed specifications are available online at us.dlink.com.